Denver Broncos running back Ronnie Hillman (23) runs on the field during the NFL AFC Championship playoff football game between the Denver Broncos and the New England Patriots , Sunday, January 24, 2016, in Denver, CO. 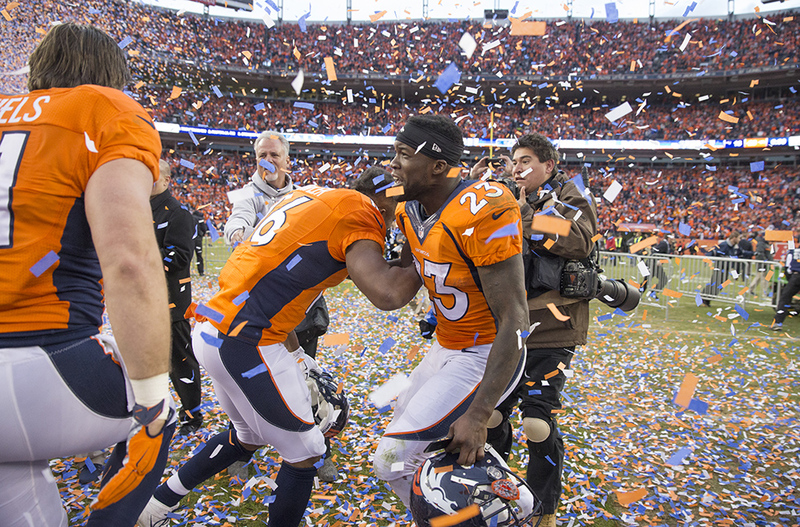 The Broncos won 20-18 to advance to Super Bowl. Denver holds off New England for a 20-18 win in the AFC Championship game to propel the club to its eighth Super Bowl appearance. The Broncos’ two-point win against the Patriots was their 11th of the season decided by seven points or less to represent the most in NFL history.